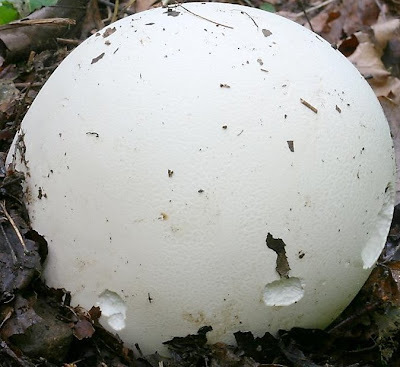 White Blight, also known as troll's bread, and cave flesh, are actually gigantic puffball fungi. They can grow to thirty or forty feet in diameter and will assume the shape of a smaller space, hiding features and blocking passages. The blight is fibrous and spongy, with grayish spores inside. It can be hacked through with difficulty. The spores emitted will make breathing difficult, but they are not deadly. This fungus is largely an annoyance, especially when it has grown up since an exploring party's last visit to a cavern and must be cleared to continue exploration. Thanks! I like the idea of having this one on a dungeon restocking table, that way which passages will be clogged is unknown even to me. Could you burn through it?